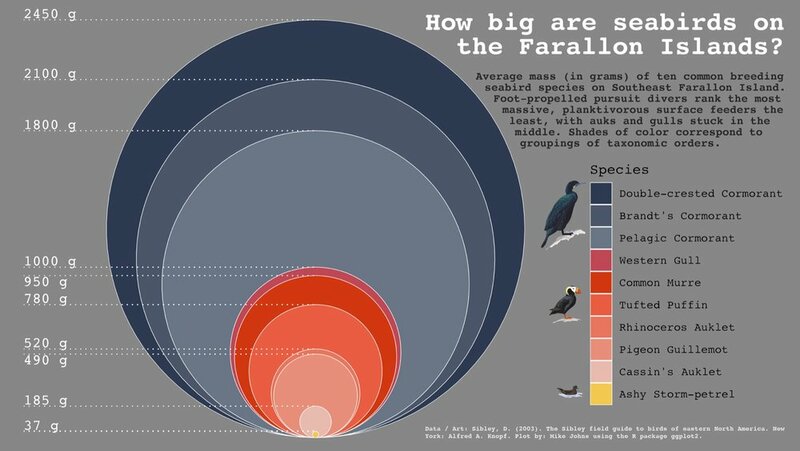 Probably the most important question in the conservation work that we do, and the most popular question people have about the Farallones, is the population size of the various seabird species on the island. The answer, such as roughly 250,000 murres, 20,000 auklets, and 500 puffins, may not be fully appreciated when taken at face value. The figure above is an attempt to put these numbers into context by representing each population as a collection of boxes, where the area of each box is scaled in proportion to the other boxes. 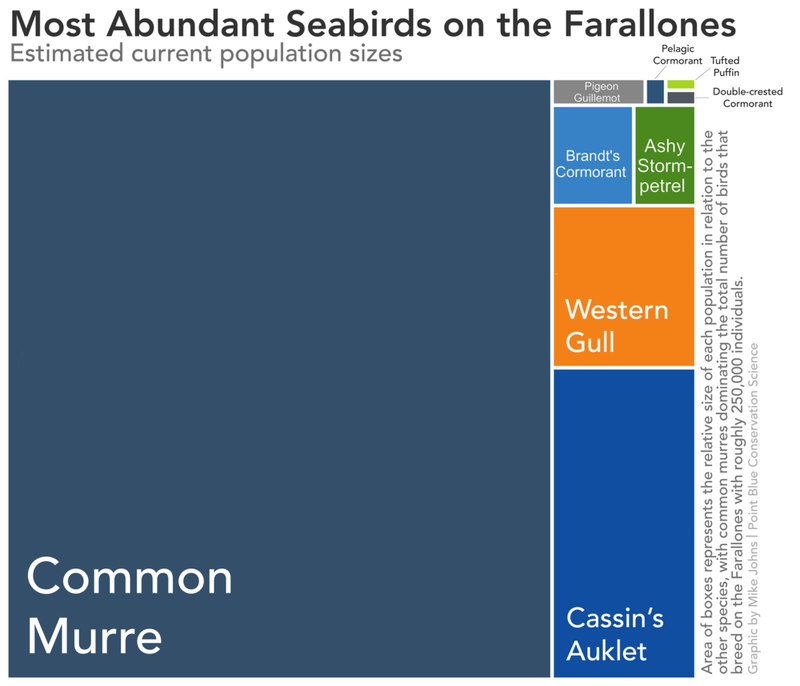 With this visualization, you can see just how abundant Common Murres are in relation to Pigeon Guillemots or Tufted Puffins. With continued monitoring and management, hopefully all of these boxes will continue to grow in size. Data courtesy of a partnership between Point Blue Conservation Science and the USFWS. The plot is called a "Treemap", created in R with the ggplot2 and treemapify packages. R is an open source statistical computing and graphics platform, where tasks are implemented through a coding language entered by the user. The flexibility of R is limited only by the collective ability of its community of users to dream up new functions and functionality; which means its potential is basically limitless. It has become the environment for researchers to carry out statistical analyses and produce publication-ready figures. 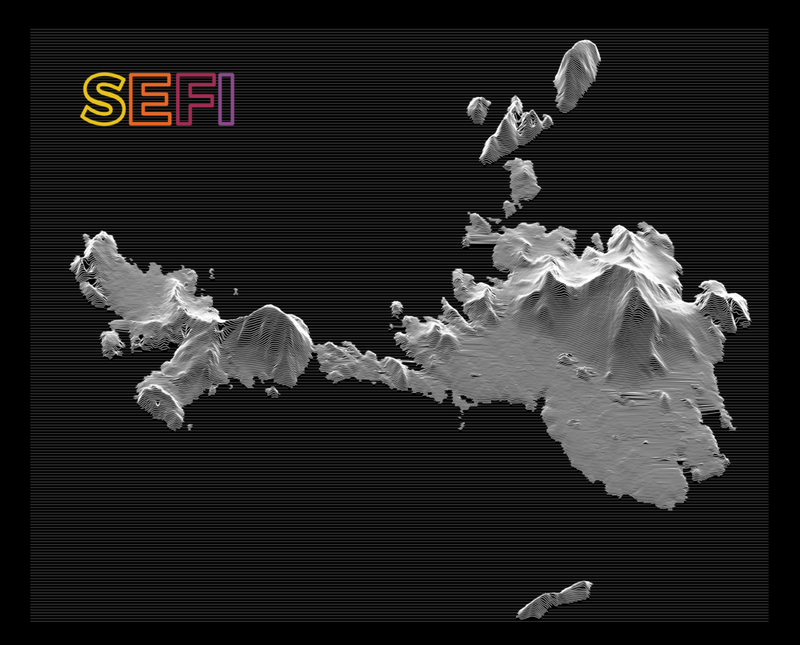 Inspired by some cool new plots floating around the internet that mimic Joy Division's "Unknown Pleasures" 1979 album cover, I created the above image of Southeast Farallon Island using a new R package developed to better visualize changes in distributions over time. 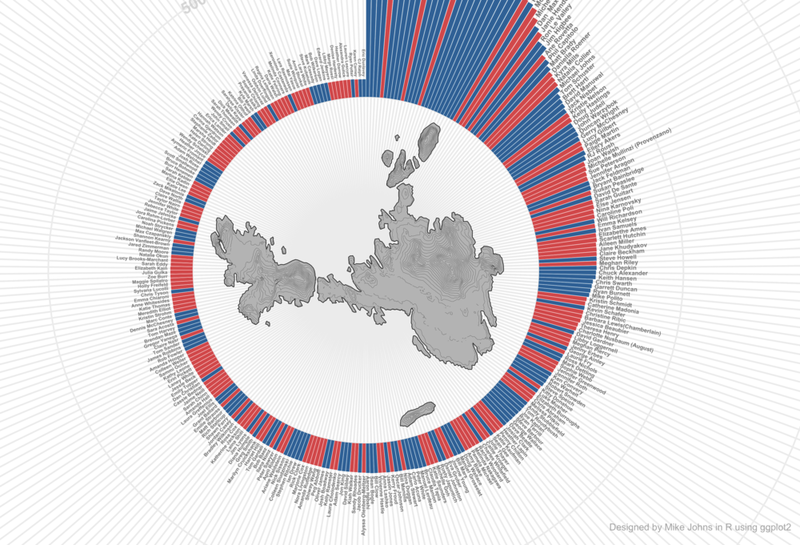 The image depicting the the change in elevation across a range on longitude for each line of latitude was produced with the packages ggplot2 and ggridges, using a dataset containing elevation information of the island at equally spaced points of lat and long. 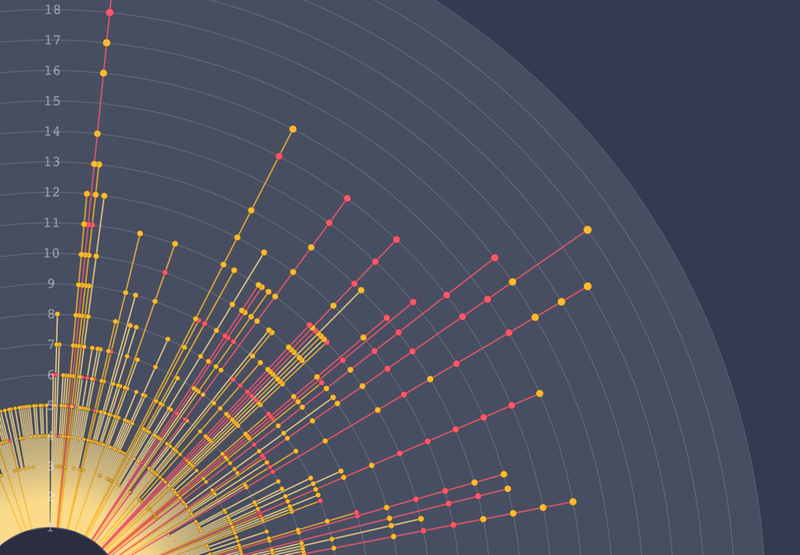 An example of using R for more than just stats and figures, creating something that could even pass for art. Download this .asc file and use this code to recreate the above image in R.
Here's another way of looking at the same dataset using geom_polygon in ggplot2, where each polygon is colored by latitude. This shows the vertical relief of the island from the perspective of the waterline, looking north. The tallest peak at just over 100 meters is the top of Lighthouse Hill. The second largest at just below 75 meters is Maintop, which is separated from the main island by a very narrow channel. 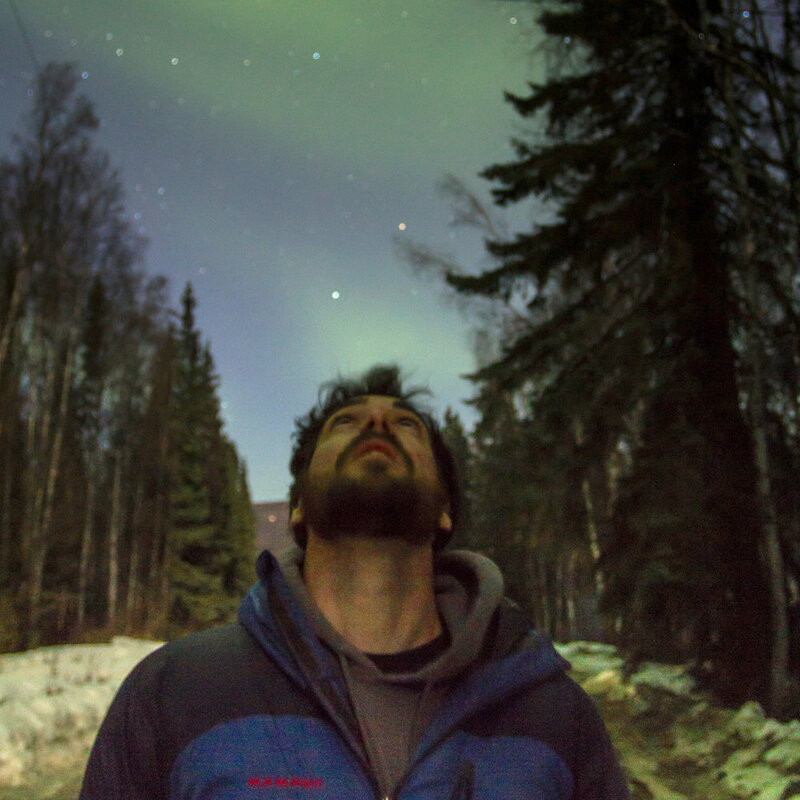 It has been a long dark winter here in Fairbanks, and now that the winter solstice has passed, we can slowly watch the sun reappear from the south. The winter solstice, as we know, is the shortest day of the year here in the Northern Hemisphere. For those of use near the Arctic Circle, the total day length during the winter solstice maxes out at just over 3 hours and 40 minutes...not much sun to work with. Day is a relative term during this time in Fairbanks, as the sun barely peeks above the Alaska Range before dipping back down again, essentially 3 hours and 40 minutes of a merged sunrise and set. 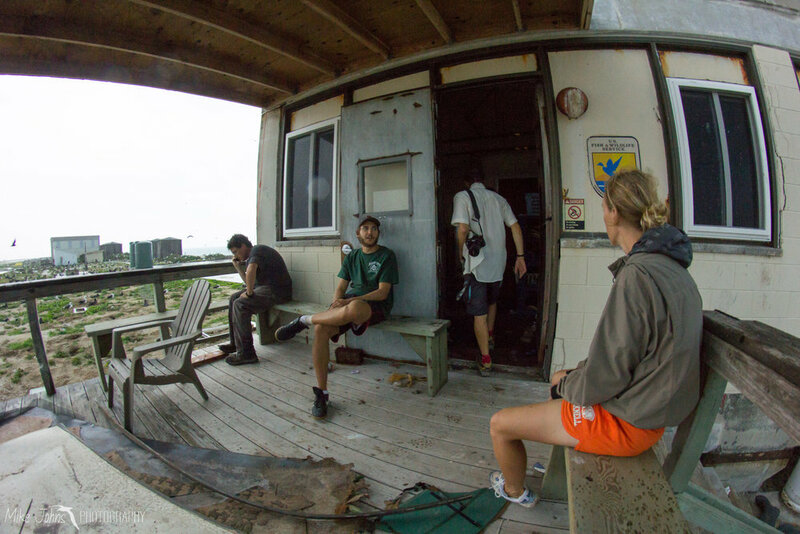 Today is the 5-year anniversary of the great microburst of 2012, a brief yet destructive meteorological phenomenon that effectively put an end to a remote long-term seabird monitoring camp on Tern Island in French Frigate Shoals. This event also prematurely ended my scheduled six month deployment as a field tech on this tiny island in the middle of the Pacific. I wrote about my experience of the great storm back in 2012, and decided to repost the old blog here. The following is my account of that day, along with some grammatical fixes and updated photos. 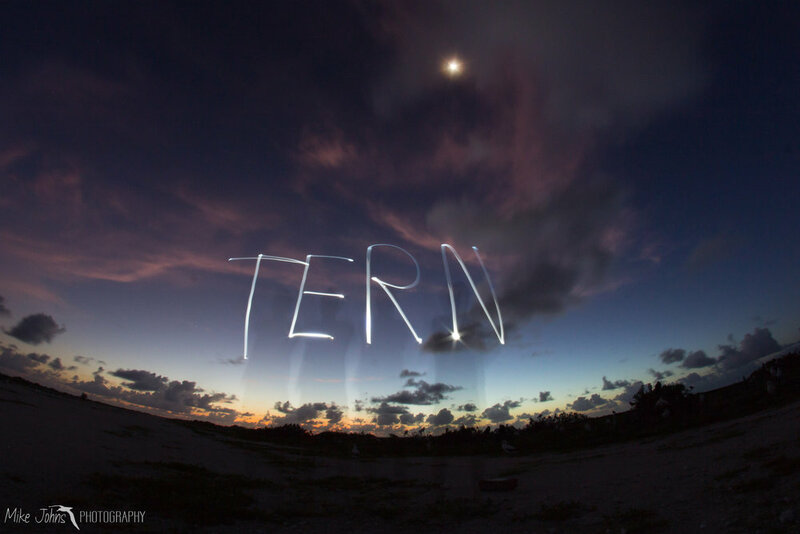 I awoke as I always did around 4:30 in the morning to start the day. It was muggy and warm when I went to bed so I left my windows open to get some breeze. It had apparently rained throughout the night, slightly flooding my room. I normally got up this early to use the unlimited download time we were given for the internet (from midnight to 6am), but it had been down the night before, and I wasn’t sure if I wanted to bother getting out of bed to test it. 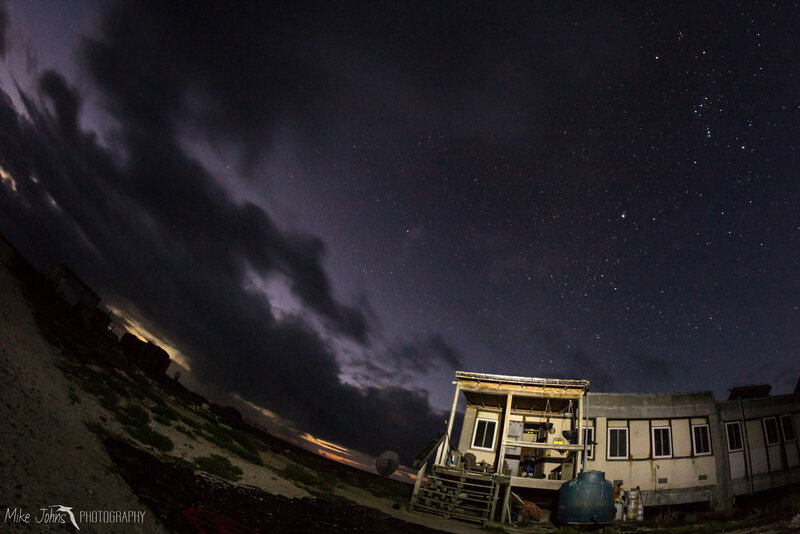 But the lightning outside was pretty cool, and a cup of coffee sounded really good, so I got up anyway. The lightning was indeed amazing; it was like storms I had seen visiting my brother in Alabama, the sky lit up like a dying light bulb blinking every few seconds. It kept going, never really producing any bolts, it just lit the clouds a brilliant purple hue. Although it was raining steadily, the direction the rain was falling kept the water off the porch, so I sat outside with my coffee in the warm morning air and photographed the lightning show. The wind was coming from the south, so I stayed relatively dry sitting in the lee of the building. After watching the weather for a while, trying to catch the occasional lightning bolt, the wind abruptly swung from the south to the north, driving the rain straight onto the porch. At first it was tolerable, but then the rain grew heavier, getting me and my camera gear wet. I immediately took my tripod down and went back inside, and as I shut the front door to keep the rain out I noticed that the temperature had rapidly dropped at least ten degrees, like I was standing in front of an open freezer door. It got so cold I almost felt I could see my breath. I didn’t think much of it. I figured the cold front had just passed over us, explaining the shift in the wind and the sudden increase in rain. Although this had never happened before, so I thought it noteworthy. In the meantime the lighting intensified, it was now producing proper bolts and very loud thunder, the storm was right on top of us. With nothing else to do I sat down at my computer in the radio room and gave the internet a shot. 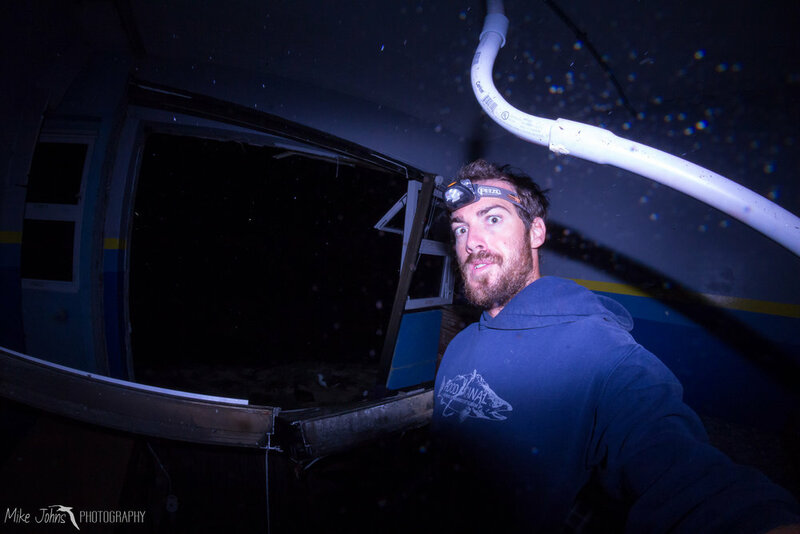 Amazingly, it worked enough for me to send an email out to Casey, bragging about how cool the lightning was and how monstrous the surf sounded. I had just sent Casey an email, and was sitting at my computer thinking what I was going to write about the storm (I usually wrote up or edited a journal entry in the morning), when out of the blue the VHF radio on a shelf behind me started producing static, like the sound an analog TV makes when it’s not receiving a signal. I had never heard it do this before, I wasn't even aware the radio was on, so it startled me. With this and the extremely cold air minutes earlier, I began to worry that something was off. Then the sky just opened up and dumped the heaviest rain I had ever heard, as if the building was sitting beneath a massive waterfall. The radio kept chattering and the rest happened so fast it’s hard to describe. Like a shockwave the pressure in room grew so strong my ears started popping, and I began hearing a faint rumbling sound that swiftly grew louder. This was immediately followed by a swift blast of cold wind to the face, as if someone had just kicked open the emergency exit of a plane in mid flight. Books from the shelf behind me and pieces of debris started flying about the room, and I instinctively dove under the computer desk and covered my face. At this point the rumbling was all around me. It sounded like metal and wood were being run through a blender, lots of banging, cracking and screeching. It was the most violent sound I had ever heard. I had visions of the movie Twister playing in my head, dairy cows levitating and all, but I had no idea was going on and I thought for sure the whole building was falling down. I wondered if the Mayans had been right all along, the world was coming to an end (This was 2012 after all). I figured I was going to be buried in a pile of rubble when it was all over. The chaos lasted for about 5 seconds and then stopped. The rain, the wind, everything was calm again. I stayed under the desk, not knowing what was going on. Then I heard Morgan say from the hall, “where’s Mike?”, and at that point I got my first glimpse of the extent of the damage. Initially, I was shocked to see one of the interior walls and the door to the radio room had been knocked down, and the place was littered with soggy books and sheets of data. Then I saw the common room. It was just after six now, still too early for the sun, and the whole building was dark. The lightning flashed and revealed all the walls were gone. It was such an eerie sight. 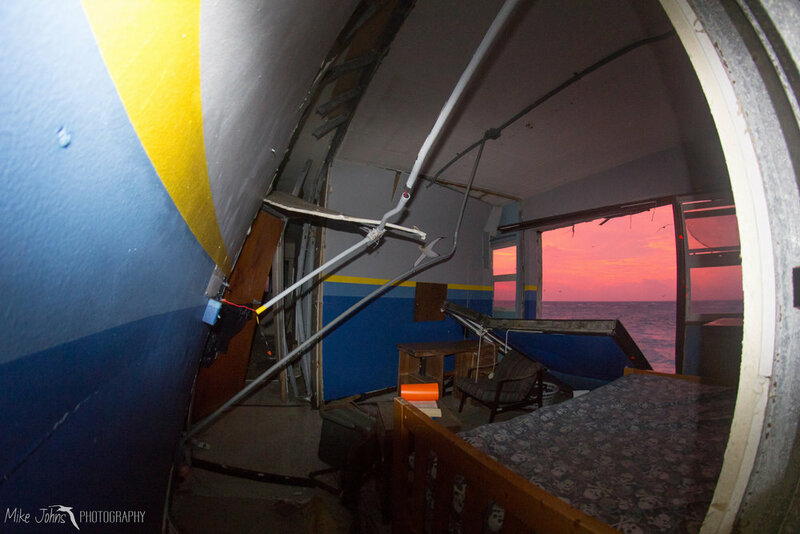 Every time the lighting went off, where the entertainment center stood, the bookshelves, the chalkboard with our daily schedule, it was all just an open view of a tumultuous sea and a nasty sky. 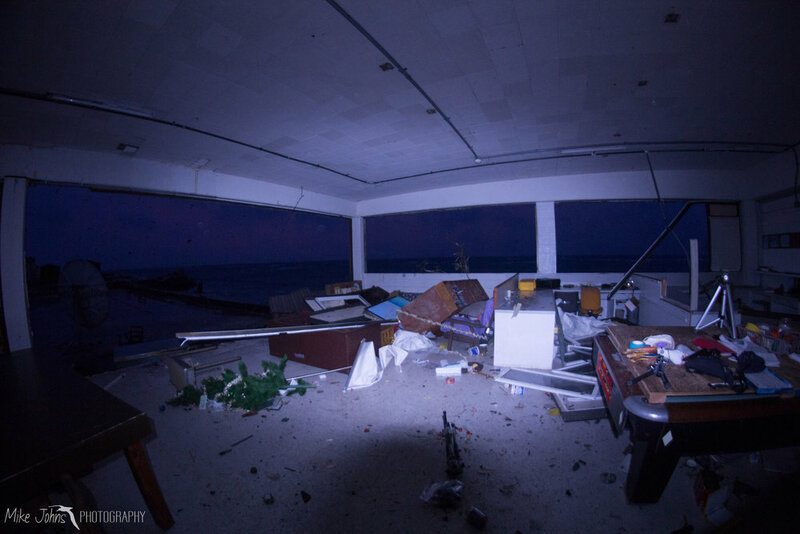 The wind was blowing salt spray and rain right through our dining area, chairs were strewn about the room, and the kitchen was covered with knives, pots and pans – it was a mess. The wind had been so strong it moved stoves in the kitchen, and blew a heavy freezer full of old video tapes clear through a wall and out the building. We had just rearranged the movie area, and set up the Christmas tree for the holidays, and it was now a massive pile of junk. 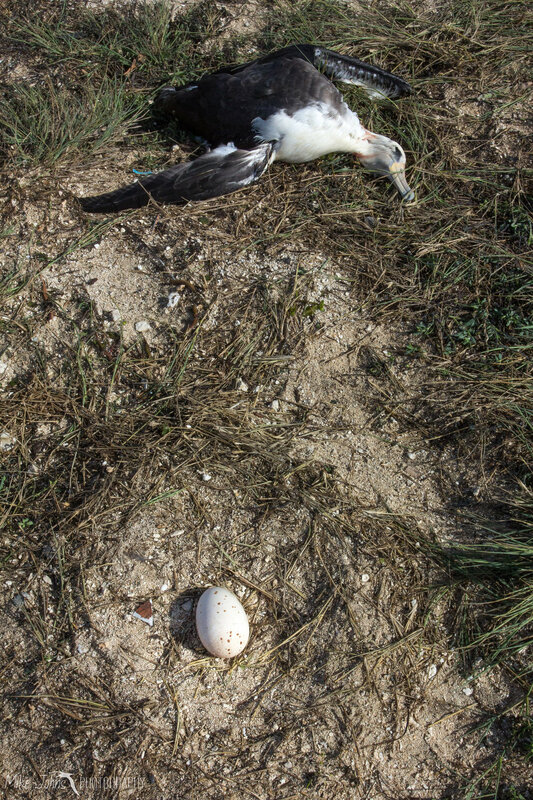 Broken glass, bad novels, random debris had been blown out with the east walls, landing in a fan outside on top of albatrosses incubating eggs. The entire scene was a disaster. Four rooms, including mine, had been completely blown out. 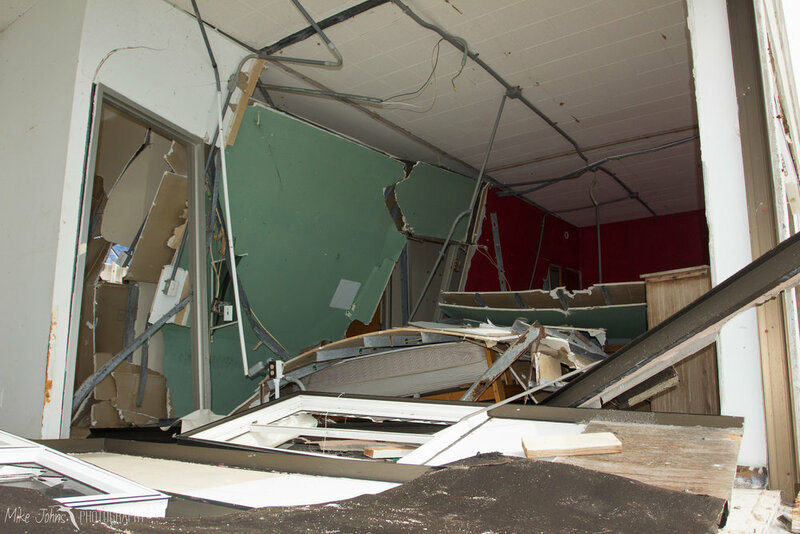 It was a jungle of shattered drywall and mangled aluminum framing that had been ripped from their foundations. Fortunately I wasn’t in my room, and all other occupied rooms only received minor damage. The west end of the hallway was so mangled the last three rooms were inaccessible. One unused bed was buried under three different walls. If anyone had been sleeping there they would have been crushed. We really lucked out. The damage was extensive. The boathouse looked like a bomb had gone off, the tractor shed had gaping holes in its concrete walls, there were many leaks in the plumbing, the solar panels were torn from the braces, radio antennas were stripped off the roof, six bedrooms, one office, two bathrooms, the laundry room, and all of the common room had their exterior walls blown out, and a few other structures including fuel storage units and a couple fiberglass boat hulls were scattered around the west portion of the island. We took a big hit, and it was all a major shock to witness. Even more disturbing was searching for injured and buried birds. I can’t imagine what it must have been like for rescue workers on scene at the World Trade Centers or in Japan after the tsunami. 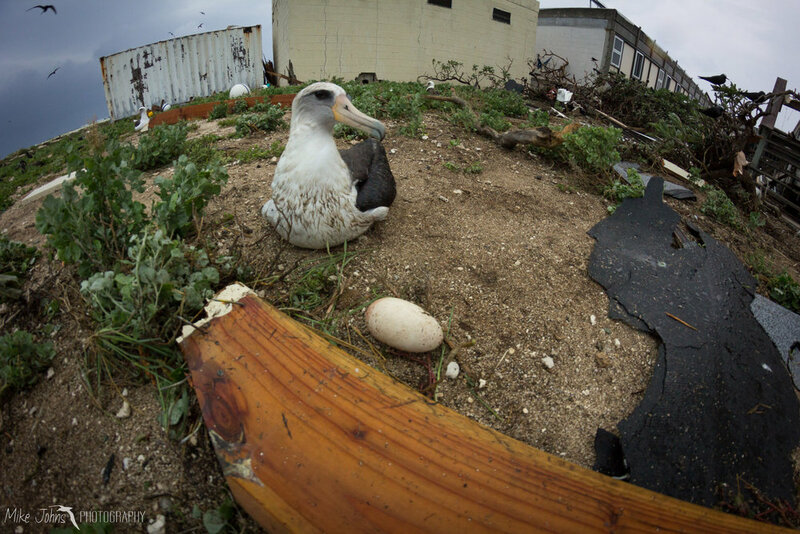 It was very difficult seeing albatrosses, birds that I have been admiring for years, with broken wings and bloody necks stuck beneath sheets of wall panels. Some were killed instantly by projectiles, others were flattened on their nests, and many were simply limping around with mangled wings. 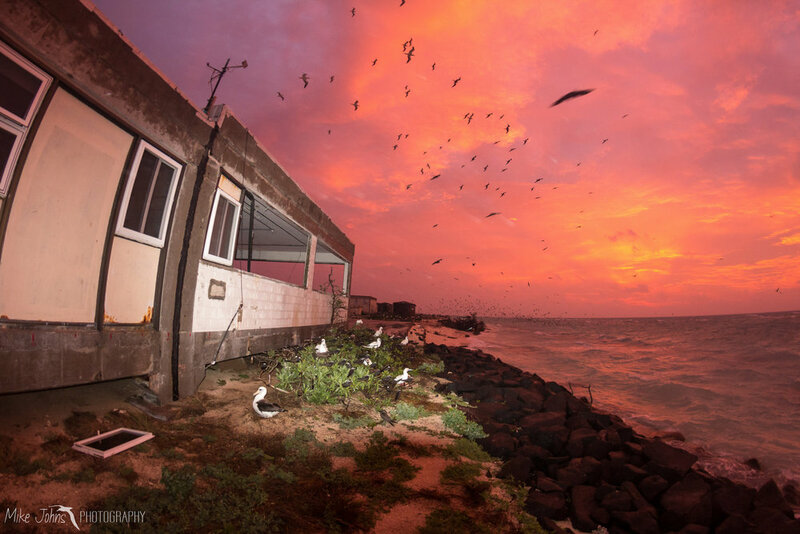 Since the debris from our buildings had inflected the most damage to the wildlife, it was our responsibility to euthanize the suffering birds. Something I hope to never have to do again. 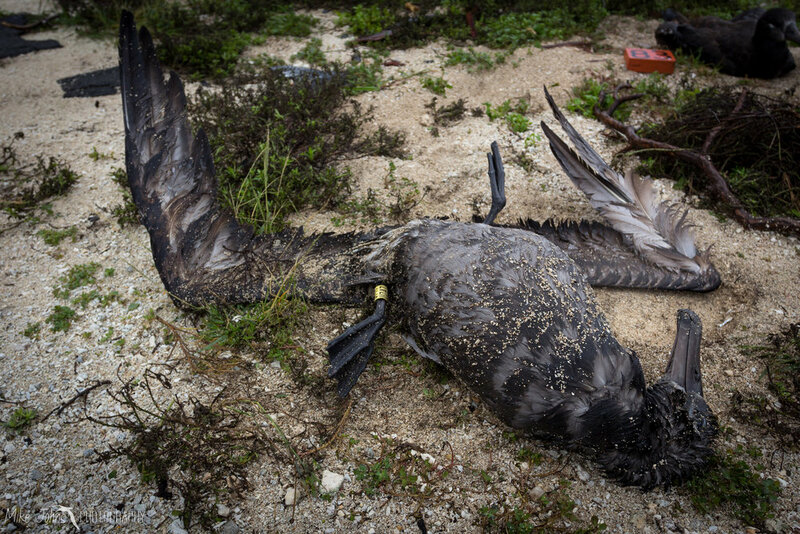 The death count is as follows: 62 Brown Noddies, 97 Black Noddies, 10 White Terns, 17 Red-footed Boobies, 6 Great Frigatebirds, 1 Pacific Plover, 24 Laysan Albatross, and 22 Black-footed Albatross, for a total of 239 birds of which 79 were banded. It’s amazing how selective these storms can be. You always hear stories about how tornados will completely disintegrate one home, and leave another only feet away untouched. 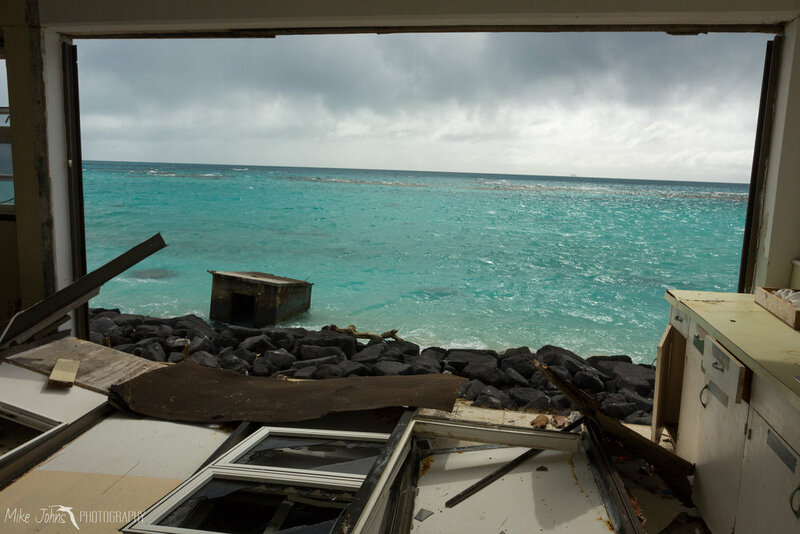 The microburst we experienced only affected the west end of the island where all of our facilities stood. The east end of the island showed no signs of damage. It appeared every leaf and branch hadn’t even been rustled. The wind apparently stopped at the warehouse to the east, and was most intense near the boathouse to the west. As much as I can gather from Wikipedia, a microburst forms by the rapid evaporation of highly saturated air in a thunder head. As the mass of air evaporates, it cools. The sudden cooling forces the air mass to descend from the cloud, accelerating as it falls through the wet air below. When the air mass eventually collides with the ground it can reach speeds of 150 mph, leveling anything that stands in its way. At least that’s what I think happens. Either way the point is it gets very windy very fast, and causes intense localized destruction. The storm carried on for three days. It was difficult to sleep the first night after the disaster. No longer did we trust the integrity of the building. We were convinced that the next big gust could blow the whole place down. The rooms in the north wing where we moved all of our valuables and beds were mostly intact, although the roofing had been compromised and new leaks had sprung open. We were able to recover most of the archived data, although some had been saturated, and luckily all of our expensive computers and camera gear survived. My computer was covered in dirt and debris and had a desk lamp fall on the keyboard, but it still worked. We boarded up the kitchen and the exposed hallway, and somehow managed to recover the internet, although its functionality was limited. 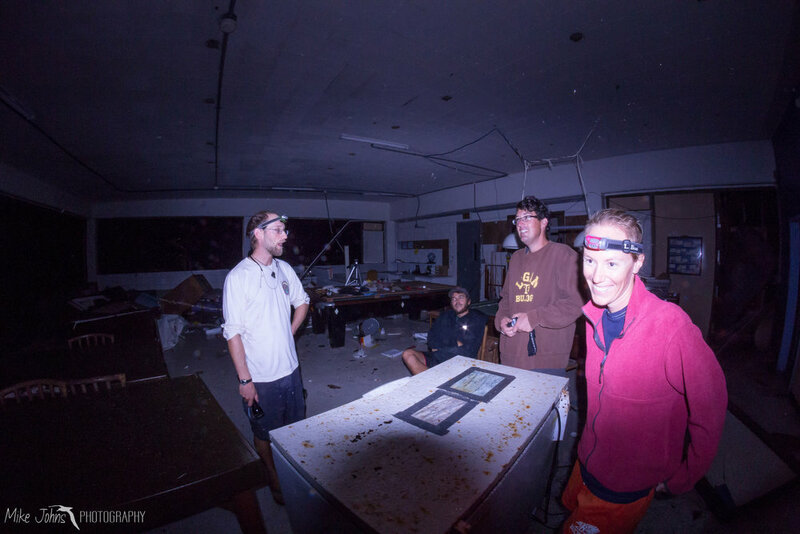 The solar panels were damaged, but remained intact enough to still charge the battery bank. Chad fixed the broken pipes in the plumbing and shunted all water to the north hall. We limped along for 10 days. In the meantime we piled all the wooden debris on the runway for a bonfire, and did what we could to secure all other lost items that might otherwise blow around and cause more injury to the birds. 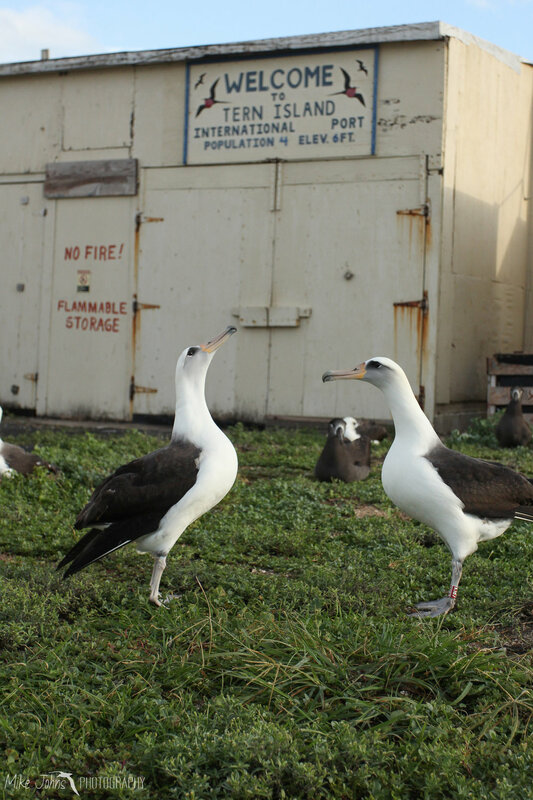 The Pacific Seabird Group held its annual conference this past week in Tacoma Washington, tame in comparison to last year's venue on the North Shore of Oahu. Still, it was great to here about all the new and exciting research being carried out on seabirds in the face of a rapidly changing marine environment. Last year I presented preliminary results on the drivers of double brooding in Cassin's auklets, work that was recently published. This year I presented new preliminary results on the movement patterns of Cassin's auklets from Southeast Farallon Island, using archival light sensing tags called geolocators. This information will help inform conservation of this species by answering basic questions of winter habitat use and distribution, thus identifying areas of special importance and favorable conditions. Stay tuned for further results. Every few years, researchers studying birds in Alaska gather for a small conference to share ideas and report on their findings. This year, the Alaska Bird Conference was held in Cordova, a sleepy fishing town tucked away in a remote arm of Prince William Sound. Noteworthy talks included a report on the recent mass die-off of common murres and subsequent near total breeding failure throughout the Gulf of Alaska and Bering Sea, and new evidence supporting a virus as the likely source of a deadly outbreak of beak deformities effecting black-capped chickadees and hundreds of other bird species across Alaska. My main reason for attending, aside from these talks and presenting the work I'm doing with Point Blue on Cassin's auklets, was to get away from the interior for a week and see the ocean again. Figure 1. Noosa's predicted growth (blue line) as a function of her age. Polynomial equation derived from actual weight measurements (orange points) from 6 different vet visits throughout her development. The most popular question we get from people who meet our dog Noosa for the first time is, "She's huge for a puppy! How big will she get?". Since Noosa's is a mix of many different breeds, specifically Maremma, Saint Bernard, Newfoundland, Great Pyrenees, and Bernese Mountain Dog (see family photos below), we can't just look at examples of other dogs to gauge her final adult size. There's no doubt she'll be big, but just how remains a bit of a mystery? 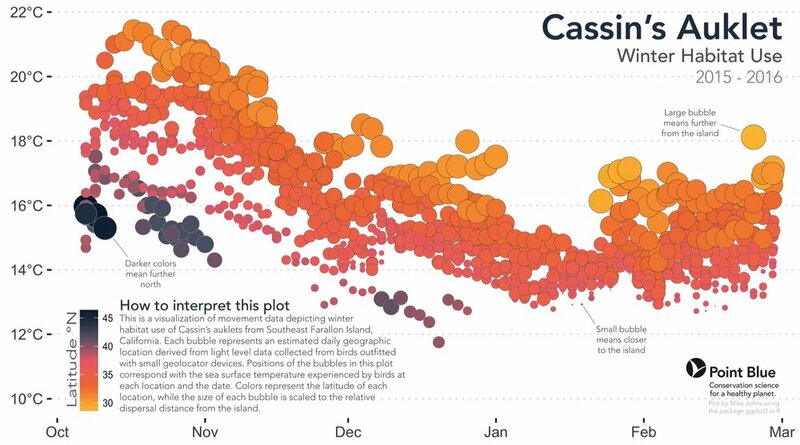 One way to estimate this is to use a model based on her observed weights to predict how much she might weigh in the future. A simple approach is to fit the observed values with a polynomial equation (Fig. 1), which doesn't perform well for ages less than 20 days old (negative weights), but fits the rest of the data pretty well. Another method would be to use more complex equations with additional terms, such as Von Bertalanffy model or some other growth equation. Either way, based on a simple polynomial fit, it looks like she will likely max out at just over 80 pounds; which is what we would expect based on her parental recipe. 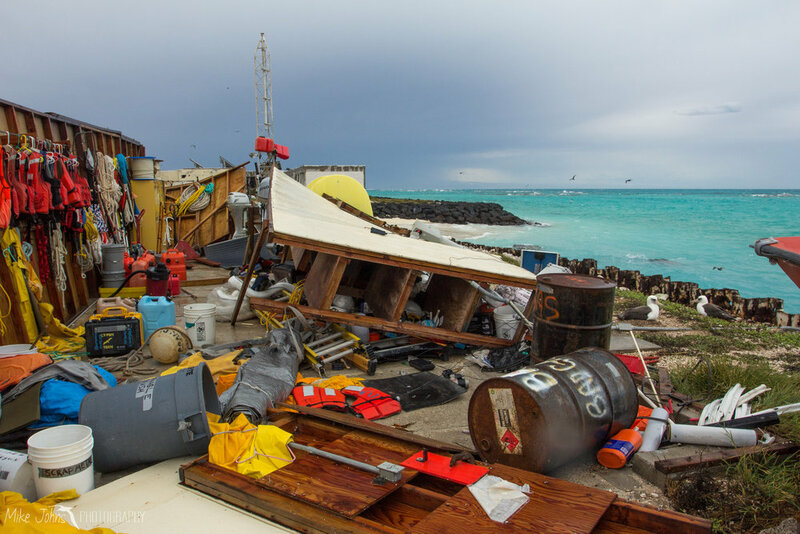 The North Pacific Research Board (NPRB) consists of a group of advisory panels aimed at identifying and supporting research geared towards fisheries management and ecosystem health in Gulf of Alaska, Aleutian Islands, Bering Sea, and Arctic Ocean. They offer competitive graduate student awards of up to $25,000 for projects related to issues in these areas. NPRB also puts out an annual calendar showcasing photographs of field work and wildlife from marine environments throughout Alaska and Russia. Although I didn't receive the cash prize, my photo of a tufted puffin from St. Paul Island did made the honorable mention list. Visit www.nprb.org/nprb/annual-photo-contest/ to see the winning entries. This past February, I presented some preliminary results of my thesis work at the 43rd annual Pacific Seabird Group meeting on Oahu, Hawaii. I ran a series of logistic regression models in R to test the probability of second brooding in Cassin's auklets against a set of environmental and biological variables. I found that increased June upwelling strength, older female parents, and early lay dates best explained the variation in double brooding rates on Southeast Farallon Island. The poster I presented took home first place in the graduate student paper category.